The 2018 CA Craft Beer Summit is right around the corner, taking place September 6-8 in Sacramento, CA. Not only does this event include the largest annual craft beer festival in the state of California, but it also transcends everything you might typically expect from a craft beer summit. 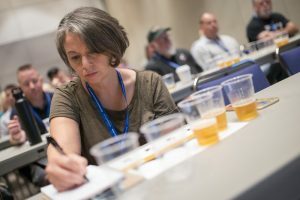 This 3-day long conference (read: party) isn’t just for craft beer industry professionals; from the educational tracks to the beer itself, home brewers and craft beer lovers have just as much to gain from attending as do retailers, distributors, and brewers. Below are 4 reasons that the CA Craft Beer Summit is set to be a craft beer experience you won’t find anywhere else. Grab your tickets here while you still can. 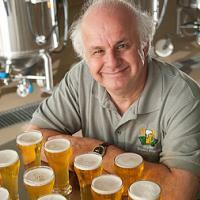 Just what does 20, 30, or even 40 years of craft brewing experience bring to the table? Well, aside from decades’ worth of excellent beers, it also brings acute industry insights and excellent stories that you can hear first-hand at the CA Craft Beer Summit. Some of the best in the industry are on the bill for 2018. Greg Koch – Co-Founder of Stone Brewing – is this year’s summit keynote speaker, and he’ll be sharing his musings from over 20 years of working at the helm of one of the country’s most iconic craft breweries (Thursday 3:15pm to 4:15pm). But the greatness doesn’t stop there. Additional “Tap Talks” led by other industry stalwarts will be taking place throughout Thursday and Friday, including “The Pope of Foam” Dr. Charlie Bamforth. The UC Davis professor of malting and brewing science is sure to have just as many industry tales to share as he has brewing know-how (Friday 3:30pm to 4pm). Beer may have the spotlight, but food is definitely a close supporting act at this year’s summit. Throughout the first 2 days of the summit, “Brewed for Food” will feature 12 different breweries teaming up with 12 different restaurants to showcase beers brewed to pair with deliberately crafted complimentary dishes. The food focus continues through other segments of the summit as well. Chefs and brewers will be teaming up for “Chef & Brewer Demos,” where attendees can learn about food & beer pairings during these interactive, educational sessions. Finally, don’t miss Thursday’s California Craft Beer Dinner taking place at Mulvaney’s B&L, featuring a 5-course beer & food menu (note: this is a separately-ticketed event not included with summit admission). Interested in learning about the history and process of making some of the oldest, undiscovered beer styles? Then don’t miss the “Ancient Nordic Beer Styles – Sahti & Shoduchøl” session hosted by Colorado Malting’s Josh Cody. Or, if the 21st century beer fads are more your thing, check out “A Brief History of Beer Trends” that’ll take you through the evolution of both local and global beer trends. From California’s kolsch craze to the rise of styles like fruited sour beers and the rapidly-emerging Brut IPA, there’s plenty of ground to cover here. Click here for a full schedule. OK, so a half-day festival that includes food trucks, live music, and tastings to your heart’s content is pretty par for the course. But, Saturday’s Summit Beer Festival is the only appropriate capstone to a productive couple of days spent leveling-up your beer game at the convention center…or for the weekend warrior that just wants to show up and drink a lot of great beer! This year’s festival will be the biggest yet, featuring 170 California breweries from every corner of the state. Most of the breweries will have their founders or brewmasters serving up the beer, and they’re happy to talk about the stories behind their brews. 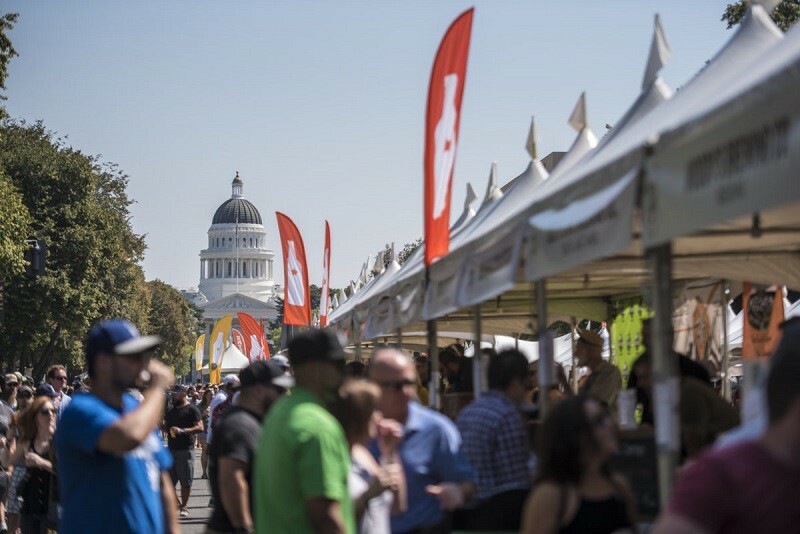 Located in Capitol Mall with great views of the Tower Bridge and the Capitol building on both ends, it’s the perfect location for the biggest event in beer in the state of California. Hope to see you there! 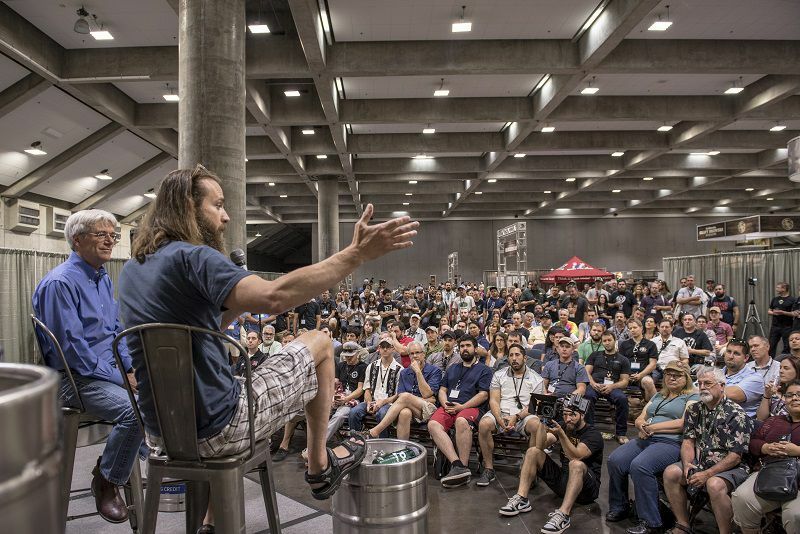 The California Craft Beer Summit is an annual event hosted by the California Craft Brewers Association (CCBA), a 501(c)6 non-profit trade association that connects and empowers the craft brewers of California through advocacy, education, and communication. Make sure to follow the CCBA all year round for other exciting craft beer events throughout California.